In Choosing Gratitude: Learning to Love the Life, renowned author James A. Autry reminds us that gratitude is a choice, a spiritual—not social—process. Made evident as behavior, gratitude is not the behavior itself. We may automatically respond, “Thank you” or “Appreciate it” in the daily course of our lives. These are polite, conditioned responses, but they are not gratitude. Instead, gratitude is a way of life, a belief system, that means cultivating a spirit of thankfulness even through the negatives of life. It is remembering there will always be more reasons for gratitude than for despair. 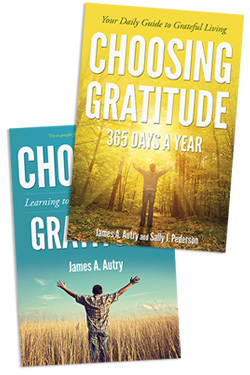 In Choosing Gratitude 365 Days a Year, the follow-up to his bestseller, James A. Autry joins his wife Sally J. Pederson for a year of gratefulness. Each devotion challenges us to see a source of gratefulness amidst the normal, burdensome circumstances of life. As the year progresses, we are let into Jim and Sally's lives, their trips to visit family, the blessings of their sons and friends. They remind us of things that happened last week or a month ago, even the weather, and so we are looped into the confidence of wise friends who really as the most positive, grateful people we would ever hope to meet. We want to be more grateful as we want to be more honest, more courageous, more generous. Each month, Jim and Sally highlight an added virtue to direct us on our guide to grateful living. Filled with quotes, poems, and the inspired voices of both Pederson and Autry, in a society consumed by fears of not having “enough”—money, possessions, security, and so on—this book suggests that if we cultivate gratitude as a way of being, we may not change the world and its ills, but we can change our response to the world. James A. Autry, a former Fortune 500 executive, is an author, poet, and consultant whose work has had a significant influence on leadership thinking. 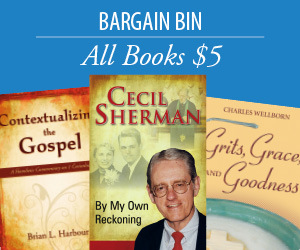 He is the author of twelve books, and his writings have appeared in many anthologies and magazines. Autry received considerable national attention when he was one of the poets featured in Bill Moyers' special 1989 series, The Power of the Word, on PBS, and in Moyers’ 1995 book, The Language of Life. In 2012 he appeared on Moyers & Company on PBS, and his work has been featured on Garrison Keillor’s “Writer’s Corner” on National Public Radio. Autry serves on the national Advisory Board of Poets & Writers, Inc. and was a founder of the Des Moines National Poetry Festival. He holds four honorary degrees and is the recipient of a lifetime achievement award for service to the humanities from the Iowa Humanities Board. Autry lives in Des Moines, Iowa, with his wife, former Lieutenant Governor of Iowa Sally Pederson and their thirty-one-year-old son. He has two grown sons by a previous marriage and is a grandfather of two.